Leasing now! Be the first to live in this brand new sun-filled duplex with private backyard and in unit washer/dryer in the heart of Ridgewood. This stunning apartment spans the entire first two floors of a gut renovated early 1900s townhouse. The upstairs features an open living room and kitchen with quartz countertops and full size stainless steel appliances. 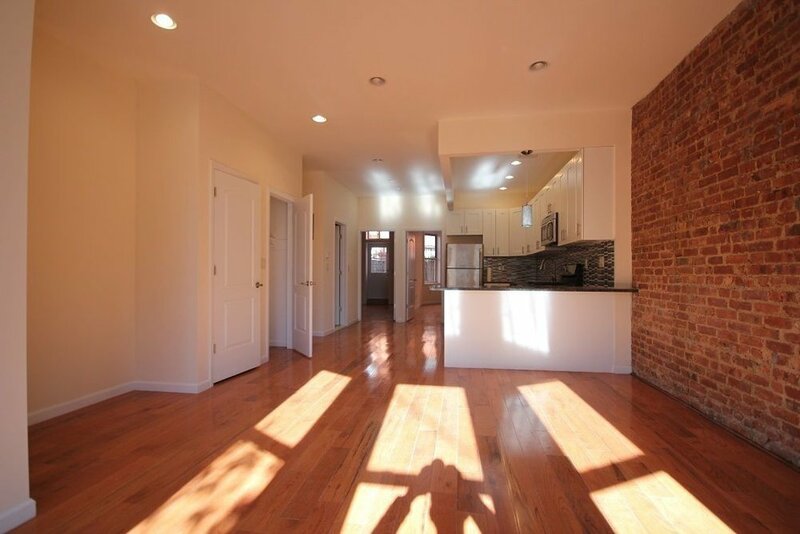 There are 2 bedrooms on this floor, both have beautiful exposed brick, closets, and enough room for a queen size bed plus additional bedroom furniture. Downstairs is a open recreation room spanning the entire floor, and a full 2nd bathroom with shower. There is also a washer dryer on this floor, additional closet space, a private entrance and access to the backyard.